This was another look I shot a few weeks ago when I was in New York City that is perfect for this time of year. 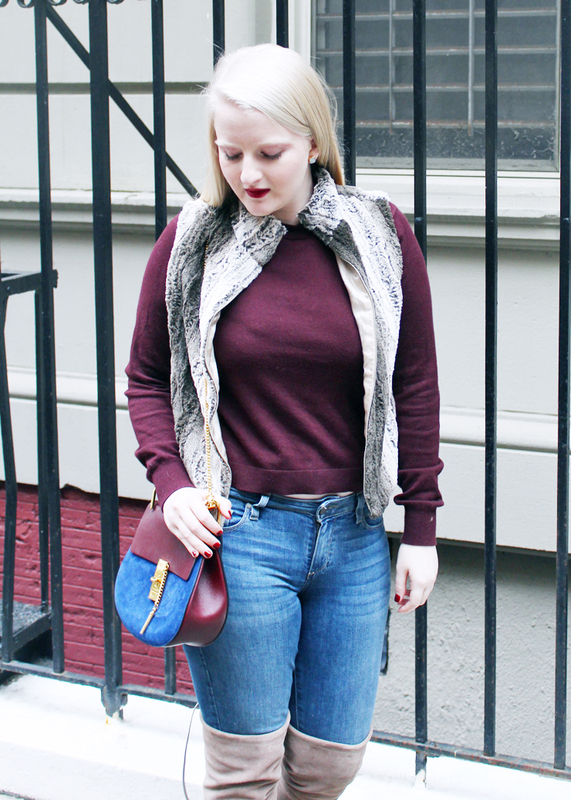 It's no secret that I'm a huge fan of layering and winter is the perfect time to layer a faux fur vest over a sweater. Wearing these pieces together is a great way to look stylish while keeping warm! Fur vests have been big for a few fall/winters now and I hope that it's a trend that is here to stay. While fur is always chic, I prefer to keep mine faux because of allergies. If you try to avoid fur because of allergies or ethical reasons there are tons of good faux options available today. 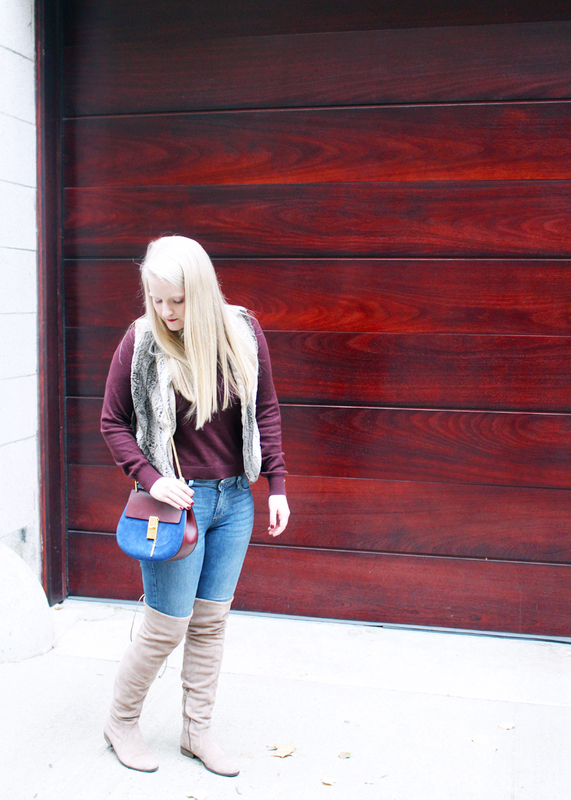 I'm especially loving colorful faux fur right now and definitely need to add a blush faux fur vest to my closet! 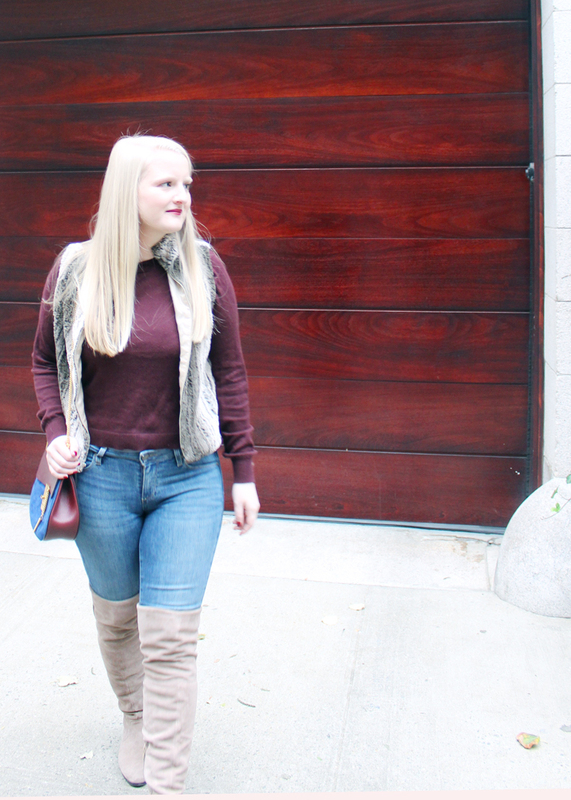 Below I'm linking a bunch of different faux fur vest options that I'm swooning over so you can add one to your wardrobe too. Do you wear real fur, faux fur, or switch between the two? Today I'm linking up with Midweek Inspo, Oh Hey Girl!, I Feel Pretty, and Trendy Wednesday. Love the color combo of your outfit! The berry looks amazing on you! 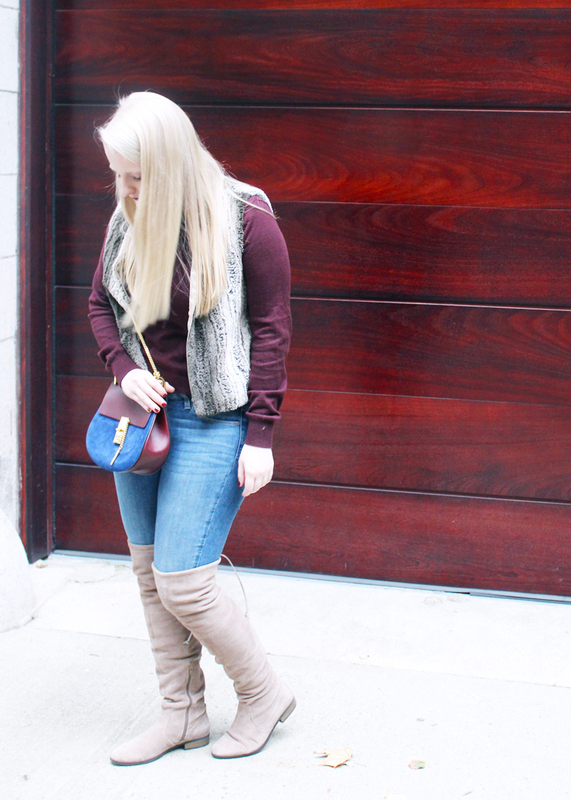 I have a faux fur vest too and I love layering different sweaters under it! Looking so cute girl! 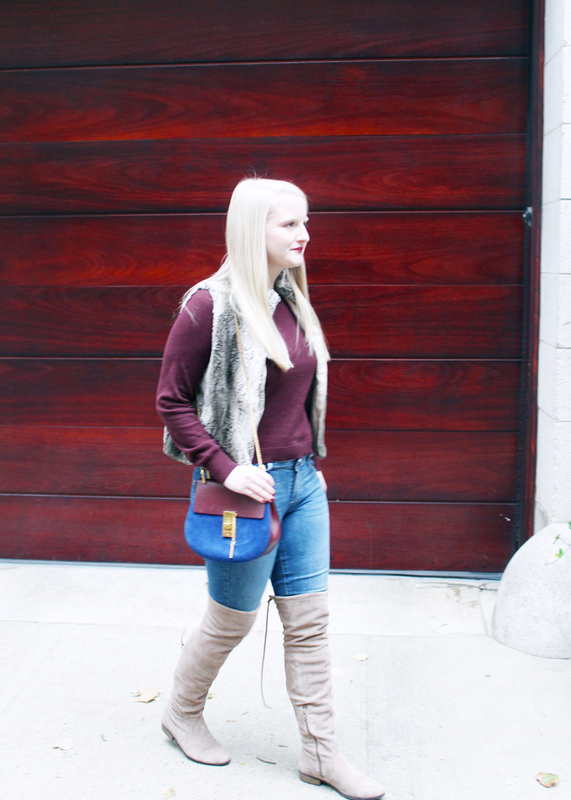 I love this warm cozy look, and good for you fro using faux fur instead of the real thing! That bag is so cute! Perfect winter colors! Love cranberry shades for this time of year... and I am totally DROOLING over your bag! Those boots and Chloe bag are beautiful! I'd love to own a Chloe bag one day, they're just so expensive! Ah such a fun cozy outfit! Obsessed with the vest! I've never owned any type of fur vest but I'd definitely go with faux if I ever decided to, both for ethical reasons but also because it doesn't require as much upkeep and it's cheaper! that Chloe bag is so dreamy!